The aim of this page is to provide updates on what Insight Acumen staff are working on, services currently being provided, upcoming activities etc. We've just completed our third Essentials training course for the year! Two courses were for Boeing and one for CQ University. For two of the three courses, the published dates were inconvenient so we were flexible and tailored courses by setting private course dates. We're still training in v9.2 but expect training materials in v10 very soon. We're very much looking forward to training in the latest v10 version which looks different and has even more capability than v9.2. For the 2019 schedule of Essentials public courses, please visit our training page. The much anticipated latest version of ExtendSim, Version 10, will be available on October 12, 2018. Below is the schedule for ExtendSim Essentials Public Courses in 2018. Schedule has also been uploaded to the Imagine That website. Mon 19th Mar 18 Fri 23rd Mar 18 Brisbane CBD, venue TBA. Registration now closed. Mon 14th May 18 Fri 18th May 18 Brisbane CBD, venue TBA. Please register via phone/email by 14 Apr 18. Registrations have now closed for the May course. Mon 20th Aug 18 Fri 24th Aug 18 Brisbane CBD, venue TBA. Please register via phone/email by 20 Jul 18. If public training course dates don't work for you, let me know so we can discuss alternate private training options. Mon 12th Nov 18 Fri 16th Nov 18 Brisbane CBD, venue TBA. Please register via phone/email by Fri 19 Oct 18. We have room for 1 more student. Followed the ExtendSim Essentials Public Course in August with a private training course 04-08 Sep 17. Outside of scheduled public courses, we can be flexible for private training, so please let us know if your company would prefer private training just for your team. Mon 20 Mar 17 Fri 24 Mar 17 This course has been postponed due client project workload. Please contact Rob to discuss your training needs. Apologies for any inconvenience. Mon 15 May 17 Fri 19 May 17 Brisbane CBD, venue TBA. Bookings have now closed for the May course. Mon 21 Aug 17 Fri 25 Aug 17 Brisbane CBD, venue TBA. Please register by Fri 21 Jul 17. Mon 13 Nov 17 Fri 17 Nov 17 Brisbane CBD, venue TBA. Registration has now closed. See above for 2018 public courses, or contact us to organise private training. If your training needs are different from those in the ExtendSim Essentials Course, hopefully we can still help you so please Contact Us to discuss what you need. We're pleased to be providing ExtendSim Training as the Authorised Training Provider in Australia. Initially, training will be the Essential ExtendSim Training Course as per Imagine That's training (http://www.extendsim.com/support_training.html) and/or focussed training and mentoring to solve particular modelling problems. If you, your educational institution, company or business need training in this powerful simulation tool, please Contact Us to discuss your specific training needs. Completed a challenging and rewarding ExtendSim modelling project for Queensland Government. Insight Acumen selected for membership of the Defence Research, Scientific, Engineering and Other Technical Services Standing Offer Panel. Excited to be engaged to provide services in the near future to three major clients. Additional modelling and analysis resources likely to be needed. Conducting business improvement analysis for international aerospace company. Work continues with NSW Government and consulting firms. Looking forward to supporting University research projects and continuing project work with BHP Billiton and Royal Australian Air Force. Planning to present a paper regarding a simulation model case study at SimTecT 2015 in Adelaide 17-21 Aug 2015. Dr David Newman has finished his second book, "High G Flight - Physiological Effects and Countermeasures", out in May 2015. ExtendSim v9 is being used for RAAF unclassified work, providing decision support tools for 44 Wing Headquarters staff, specifically evidence based analysis for 44WG's Air Base Air Traffic Services Capability Improvement Plan. Business for other clients of Insight Acumen will continue as per normal. Will catch up with you during interstate meetings. Challenging work continues with decision support projects for NSW Government, ASX50 companies and Secora. Working with Secora colleagues to support Department of Defence with decision support tools and cost of capability modelling (by Fundamental Inputs to Capability or FIC). Using ExtendSim to support No. 44 Wing's Air Base Air Traffic Services Capability Improvement Plan. Providing expertise with design process and programming for an ExtendSim model to test large infrastructure future development & investment plans. Supporting NSW Government using ExtendSim to test possible futures in resource constrained environments. Providing professional services in support of Commonwealth and State Government contracts, as well as for industry and engineering consultancy firms. Rob accepted an offer to become a Manager at Secora Australasia, a boutique consulting company that specialises in strategy_development, operational effectiveness, process optimization and market growth. Secora utilises cutting edge technology, tools and techniques, derived originally from Six Sigma, Lean Thinking, Design for Six Sigma, Restructuring best practice and Technology Management. Secora helps businesses increase efficiency, drive innovation and improve quality. See Secora at www.secora.com.au. Business for clients of Insight Acumen will continue as per normal. Rob continues to add value to companies as MD and Principal Consultant of Insight Acumen. Continuing to providing business improvement, mentoring and ExtendSim advanced programming services to Government and industry clients. A huge year ahead on both personal and business fronts. Son finishing Year 12, our 20th wedding anniversary, year 3 of the Insight Acumen business. On all fronts, 2012 is shaping up as a very busy year, and loving it! Winter Simulation Conference, Phoenix AZ. Hope to see you there! Simulation Master Class, offered free by Imagine That Inc. Register at Imagine That. Subject is Reliability. Presented by: Anthony Nastasi, Imagine That Inc.
Simulation Master Class, offered free by Imagine That Inc. Register at Imagine That. Subject is Event Scheduling. Presented by: Dave Krahl, Imagine That Inc.
Simulation Master Class, offered free by Imagine That Inc. Register at Imagine That. Subject is Quality Systems Modeling. Simulation Master Class, offered free by Imagine That Inc. Register at Imagine That. Subject is Advanced Resources. Presented by: Peter Tag, Imagine That Inc.
Providing mentoring and advanced ExtendSim programming services to Government and industry clients. Simulation Master Class, offered free by Imagine That Inc. Register at Imagine That. Subject is Hierarchical Block Animation. Simulation Master Class, offered free by Imagine That Inc. Register at Imagine That. Subject is Database Random Distributions. Providing mentoring and ExtendSim advanced programming services to Government and industry clients. Meetings with Brisbane, Sydney & Melbourne clients. Helping Brisbane with flood clean-up as member of the 'mud-army'. Client meetings and business development - Canberra and Sydney. Very busy conducting client work. Rob advised by Modeling and Simulation Professional Certification Commission that exam has been passed, and attained Certified Modeling and Simulation Professional (CMSP) certification. Client meetings and presentations - Brisbane. Submitted exam for Certified Modeling and Simulation Professional (CMSP) certification. Gained Tier 1 membership of SME Gateway. Application for the Certified Modeling and Simulation Professional certification has been approved by the Modeling and Simulation Professional Certification Commission. Rob is currently conducting the exam that will complete the certification process. Insight Acumen is now a member of the Department of Defence DMOSS Panel (Defence Materiel Organisation Support Services). IA is approved to provide services across a number of skill sets and disciplines, with skill levels ranging from qualified practitioner to discipline specialist. Client meetings and presentations - Adelaide. Business development & client meetings - Perth. Simulation Technology and Training (SimTecT 2010) conference, Brisbane, Australia. Applied to Modelling and Simulation Professional Certification Commission to become Certified Modelling and Simulation Professional. Continuing to add value to companies in the aerospace domain. Looking forward to adding value in the near future to an industry very different from the aerospace domain. 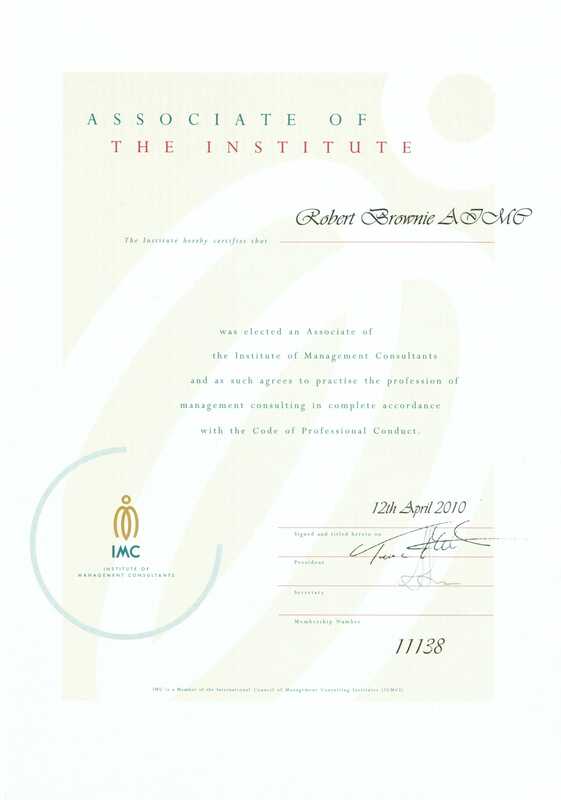 Rob accepted as Member (AIMC) of the Institute of Management Consultants (member 11138). Membership includes a Code of Ethics and Member's Pledge. Membership interview with the Institute of Management Consultants. Launch of the company website (this website). Boeing Defence Australia received a contract extension for the Army Aviation Training and Training Support (AATTS) system at the Oakey Army Base, comprising an increase in scope of work totalling $44m over four years. Rob was the sole ExtendSim modeller for this task during 2008 and was presented with an award from Boeing for exceptional service to the Boeing Services Australia business unit. Commenced work on contract for CAE. Application for Certified ExtendSim Consultant status approved by Imagine That Inc. Completed five years at Boeing Defence Australia working as an Operations Analyst in the Systems Analysis Laboratory. A wonderful experience and challenging, interesting work. I will miss the team. Gained membership of the Simulation Industry Association of Australia (member 371). 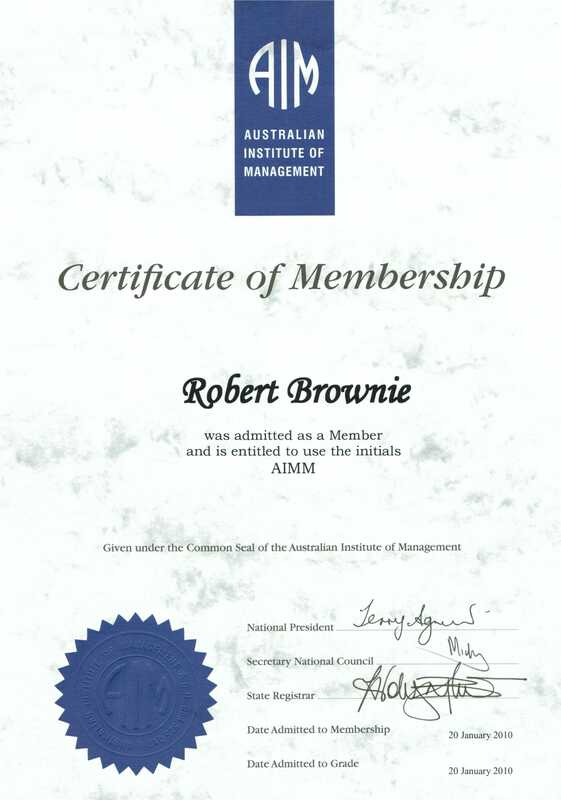 Gained membership (AIMM) of the Australian Institute of Management (member 683817). Made commitment to manage in accordance with the AIM Code of Conduct. Dr David Newman, Managing Director of Flight Medicine Systems, becomes Chairman of Insight Acumen.